Are you fond of keeping your personal photos within your personal device? Do you become nervous when someone asks for your phone? Do you want to keep it away from others who like to sneak into your gallery? Then this article is for you. It is always hard to keep your favorite and private away from such people effectively using the existing Android security features. There might be some files you don’t want to share with others. In this world where mobile hacking, Phishing attacks exists, you need something powerful enough to secure your dearest pics. Of course there are some incredible apps available in the Play store which you can completely rely on. Let’s see the amazing 5 apps that can help you to deal with this high priority problem that you face today. Vault –Hide is an excellent solution to secure your important files. You don’t have to worry about the unauthorized access to any of your relevant document case. Vault-Hide can hide your Pictures, Videos, Contacts and even messages of third party apps like Facebook, Whatsapp etc. You can either conceal your data or can have password protection. One of the amazing features of this app is its capability to take picture of the intruder. The app is able to snap the picture of people want to access your data without your knowledge. In-app purchases have to be done in order to get the advanced features like Stealth mode, Fake vault, Break-In alerts etc. You can even backup your files to the NQ’s cloud space to recover it later if anything goes wrong. Applock is one of the most downloaded App locker in the Google Play Store. 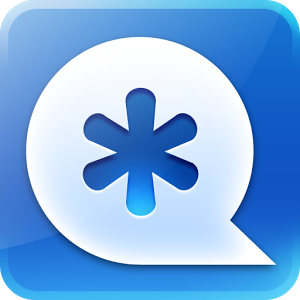 This is one efficient app with lot of exciting features. The app can be used to lock SMS, Contacts, Gmail, Facebook messages, Gallery etc. without much difficulty. This app consists of an easy to use pin pad. You need to enter your secret pin inorder to access the app. It supports all the apps available in the market with decent security options. You can have customized themes and Fake cover feature which is similar to the Vault app’s Fake vault. Time and location based lock facilities are also available with this incredible app. DoMobile Lab was very keen to make this app economical in power and memory usage. Gallery Lock Lite is one of the most popular app in the Play Store and is selected as the App of the Year by Times Magazine. This app is especially dedicated to hide pictures and Videos securely. Unfortunately it doesn’t come with an app locker.The app mainly supports photo and video hide with folder support. Even the Stealth mode is available with the app with an exciting feature ‘Watchdog’. The app takes the picture of intruders who failed to provide correct password after 3 attempts. 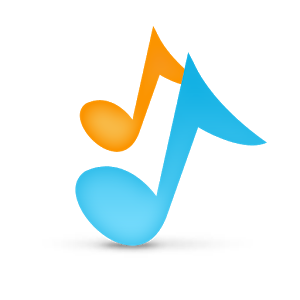 They have developed the app with a brilliant user interface including beautiful themes. 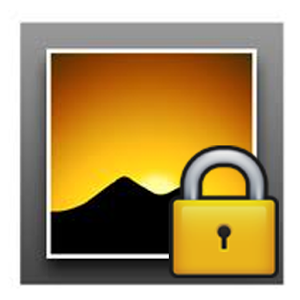 Gallery Lock Lite supports the popular cloud backups like Google Drive, Dropbox etc. Multiselect option is also available to make hiding-unhiding process faster. Are you looking for a perfect Video Lock App? Video Locker introduced by Handy Apps is one solution to this. This app is the most successful one of the same developer. The app has some exciting features that helped it to acquire the top position in the Android Market. This app uses 128 bit AES encryption to secure your favorite videos. Even if you lose your memory card with your important files no one can encrypt files from your card from another device. You can purchase the stealth mode for the app which prevents the other users to find the app on your phone without your consent. Don’t worry if you forget about the PIN. The app is able to send email to your personal mail id and you can recover it easily. Ad Free paid version of the app is also available in the Google market. Hide it Pro is an excellent app in this category. This app is simple but efficient. You don’t have to spend a anything to get premium features. Apart from other apps, this app supports military standard AES Encryption. This makes it the safest of all. No chance of unauthorized access not even in your wildest dream. This app supports usual app locker features like Multiselect, Stealth mode etc. The extra features like Video playback, Picture Zoom, Send/Share options are also available. The app can be optimized itself on low end phones which is a golden feather to its crown. Both PIN based and password based security options are obtainable which makes it a perfect choice. 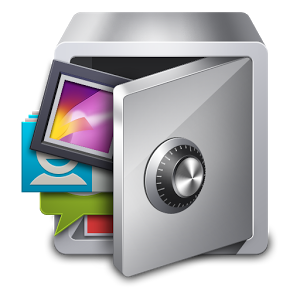 The app supports not only picture and Video lock but also secure apps installed in your device. The above mentioned apps are an excellent choice for all your file security worries. Try these apps without any hesitation and find yourself the most suitable app for you. These apps are proven and used by many around the world.